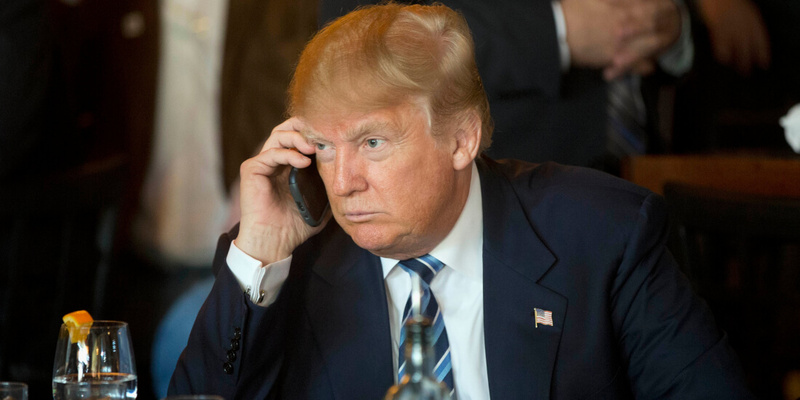 After months of concern from security experts, the White House social media director has reported that President Donald Trump has switched over to a new iPhone. He had previously been using an unsecured Android device, to the dismay of his advisers and other politicians. It was believed that Trump dumped his old phone after his inauguration, but subsequent tweets revealed that this was not the case. Members of Congress also submitted complaints requesting an investigation into the Android phone. Recent tweets from the @POTUS account have been marked as sent from iPhone, and Scavino's announcement today confirms this. The choice of an iPhone is surprising given Apple's stance and Trump's past calls for a boycott. The President is one of the largest targets for hackers, so security at this level is always preferred even if it means putting old grudges to rest. For a historical reference, former President Barack Obama chose a “3-year-old’s play phone” that couldn't take photos, play music, send texts, or even make calls. In another confusing development, CNBC reporter Arjun Kharpal pointed out that a recent tweet from Trump was still marked as sent from Android. This contradicts Scavino's statement that the President had been using his new iPhone for a few weeks. As time goes on we'll see how Trump and his administration balance national security and Twitter. Hi @DanScavino, if he has been using it for the past two weeks, why was a tweet sent on March 25 from an Android device? Is it still in use? iPhones are very easily hacked into given that you can use an unlimited number of pin/password guesses once the internal storage is cloned to external nand memory. A variety of android devices suffer from the same issue. Using a flash drive plugged into the phone in order to get it to boot is the best solution I've seen yet. You need both a usb drive and the phone itself to be able to have any chance of unlocking it since you aren't going to break a 2048-bit certificate anytime soon. This is what I don't understand. Why the hell would you use a 5/6 year old phone if you have unlimited money. Surely moving to a more recent Android/iPhone would be common sense for security reasons since the GS3 must have a ton of bugs. Simple - Trump is a CHEAPSKATE. He is no longer a billionare - The Russian hackers took all his money too. The iPhone caused Android developers to "start over"
Which one do you like better? Vodka Trump or President Trump?